Since 1884 Breitling has been building luxury timepieces for those who push the boundaries of air and space and embrace life with gusto. The bold fearlessness that allowed Las Vegas to grow from a desert outpost to one of the world’s most captivating cities inspired Breitling’s watchmakers to create the Breitling Chronomat 44 Blacksteel Las Vegas Edition II ($11,515) that is available exclusively at Horologio in a limited-edition of 25 pieces. 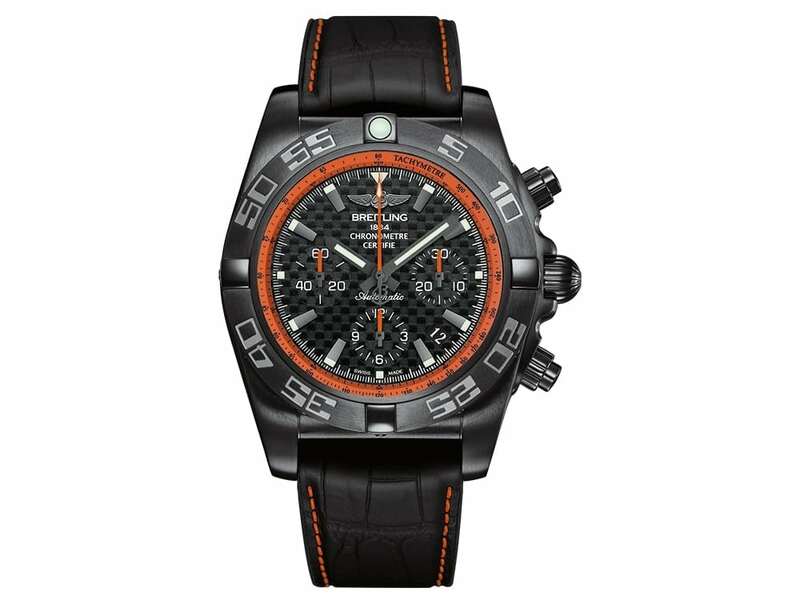 The all-black fuselage houses a carbon dial with orange accents, reminiscent of an instrument panel. The watch is powered by a Manufacture Breitling Caliber 01 self-winding, mechanical movement with an oscillating weight that is visible through the transparent caseback. 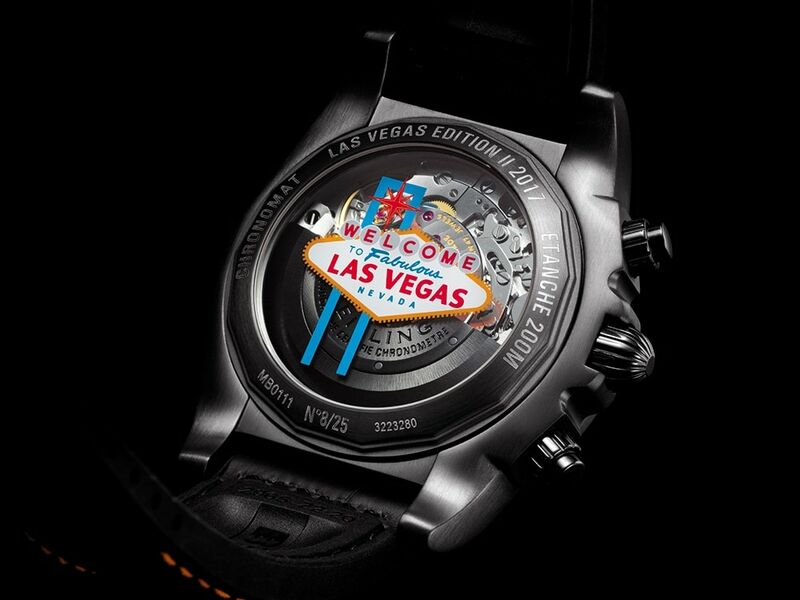 “Welcome to Fabulous Las Vegas” is inscribed on the caseback along with the individual number of each piece, so that you can keep the vitality and charisma of Vegas with you each and every minute of the day.